The English Premier League (EPL) is one of the most expensive football leagues in the world. The competitive nature of the EPL has attracted a lot of football stars who earn high wages in top clubs in England. 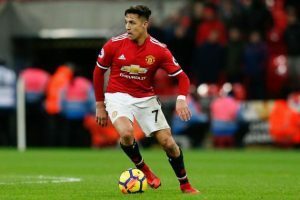 Take for example, Alexis Sanchez who became the Premier League’s highest paid player after his big money move from Arsenal to Manchester United. His salary of £500,000 per week before tax makes him the biggest earner in the EPL. We shall now highlight the highest paid players in the EPL 2019, their basic salaries plus other bonuses. Alexis Sanchez’s transfer from Arsenal to Manchester United made him the highest paid player in the English Premier League. His move to Old Trafford made Henrikh Mkhitaryan transfer to Arsenal a reality. Sanchez is one of the best footballers in the league and plays as a fowards in the Chilean National team. 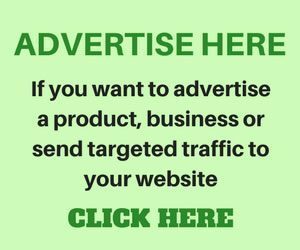 He signed a £350,000-a-week contract with the Red Devils, which according to Forbes is the biggest deal ever signed by a footballer in England. 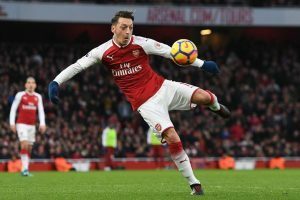 Arsenal midfielder, Mesut Ozil, is the second highest-paid player in the Premier League, after he signed a new three and a half year deal with Arsenal FC £350,000 per week. Ozil is a German professional footballer who plays mostly as an attacking midfielder. Depending on the role giving to him by his coach, he can be deployed as a winger. Ozil’s career came to limelight when he started playing for Schalke 04 in the Bundesliga (German League). After his first spell there, he later joined Werder Bremen for a deal worth €5 million. What made Ozil very popular was his performance at the 2010 FIFA World Cup, where he helped Germany reach the semi-finals just at the age of 22. Real Madrid later brought him into their squad and Özil was very instrumental in the clubs success with the record of being the first player to have a plethora of assists in major European and domestic competitions ahead of the likes of Messi and his former team mate, Cristiano Ronaldo. Raheem sterling currently plays for Manchester City and he is the highest paid player at the club. Before he signed his new contract, he kind of delayed as he received advances from other top clubs in Europe. Sterling is known for his quick feet and dribbling. He played for Liverpool FC before and he is one of England’s brightest talent in the EPL. The French/ Manchester United midfielder signed a massive contract with salary worth £290,000 per week when Man United purchased his services in a club record deal of £89.3m back from Italian club, Juventus FC in 2016. 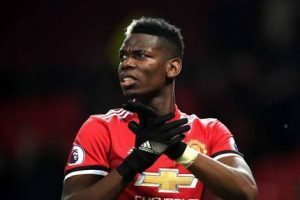 Pogba has been likened to Yaya Toure, one of Africa’s telented best players due to the fact that he can operate as a central midfielder, attacking midfielder, defensive midfielder, and deep-lying playmaker. He is the second highest earning player at Man U. It was during his spell in Italy that Pogba fame rose as one of the most promising young players in the world. He was sought after by big European clubs like Barcelona, Real Madrid, Bayern and PSG until Man U signed him. It is suggested that Pogba’s weekly wages might increase in the nearest possible future depending on his performance. Kante who recently signed a 5-year deal with Chelsea has joined the top earners in the epl. Standard Sport revealed that Chelsea increased the France midfielder’s pay from £150,000-a-week to around £290,000-a-week, which obviously makes him the highest-paid player at Stamford Bridge. This will help ward off interest from the likes of Paris St Germain as Chelsea is determined to keep their star players after loosing the likes of Thibuat Curtois. N’Golo Kante joined Chelsea from Leicester and has won two premier league titles since then. Currently playing for Chelsea FC, Higuain’s parent club is Juventus FC. He has played for Real Madrid, AC Milan and now he plays for Chelsea on loan. Higuain salary per week in Chelsea is £270,000 and he is now among the highest paid players in the EPL. Kevin De Bryne is one of the stand-out players in the EPL who currently plays for Man City and Belgium. His performance on the pitch has endeared many to him as one of the best players in the premier league. 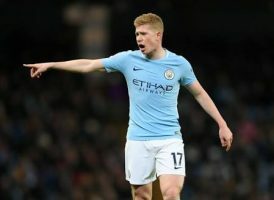 Manchester City confirmed that Kevin De Bruyne has signed a new five-year deal worth £260,000-a-week wages and would have a further one year extension if he chooses too. The player himself expressed delight in his new deal. He was quoted saying “I am really happy to have signed this new deal. As I’ve said previously, my intention has always been to stay here at City, where I’ve felt at home from day one. “Not only are we winning – we are playing great football. It’s a pleasure to be a part of and I’m really excited about what we can achieve in the coming years.” De Bruyne is an important figure to Pep Guardiola’s Man city side. 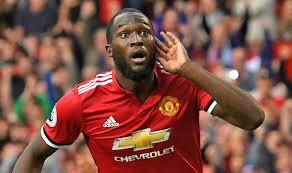 Belgian and Man united striker, Romelu Lukaku is one of the best strikers of the premier league and a top earner of the EPL. United were said to have paid a Premier League record £75m including £15m in add-ons – for the striker last summer. In his contract, it was agreed that Lukaku would earn £250,000 per week as his wages. He has been in outstanding form of late and is currently on World cup duty with compatriot, De Bruyne and Eden Hazard of Chelsea Football Club. Aguero can be classified as one of the best forwards in the world. The prolific striker who became City’s record goalscorer recently signed a mouth watering deal in the summer of 2014. This deal ensures that his wages are topped to £220,000 per week. Kun Agüero as he is fondly called started his footballing career at Independiente. He had the record of being the youngest player to debut in the Argentine Primera División at 15 years and 35 days, which was previously held by Diego Maradona in 1976. 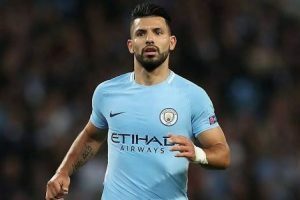 It was after Agüero moved to play for Atlético Madrid in Europe that top European clubs noticed him. He won the Europa League and the UEFA Super Cup in 2010 back then and he is a friend to the best player of all time, Lionel Andres Messi. Kane plys his trade with Tottenham Hotspur, a London club seen as one of the top contenders of the EPL. Infact, Hary Kane is now the most valuable player in the world currently ahead of Neymar and the greatest of all time, Lionel Messi. Harry Kane signed a new six‑year improved contract with Tottenham Hotspur which worth up to £200,000 a week. This deal includes bonuses plus other incentives makes him the tenth top paid player in the premier league after Aguero. As of writing this post, Kane is the best striker in England and doubles as the captain of the three lions of the English squad. He will be at the fore-front leading the English national team top the World Cup finals in Russia. Kane’s goals are breathtaking, even though he is still young. He has been considered by many as one of the standout stars in the English Premier League. No wonder he was heavily linked to a summer move to Real Madrid. Kane has won two Golden Boots, and is seen to improve every year and in every season. Just recently, he broke Alan Shearer’s record in 2017 for the most Premier League goals in a calendar year with 39 and he has since surpassed Teddy Sheringham as Tottenham’s leading scorer in the EPL. Although its uncommon to see goal keepers on this list, but David de Gea stands out as one of the best. His reflexes at the goal post is second to none. He is the best keeper in the English premier league and even at united. 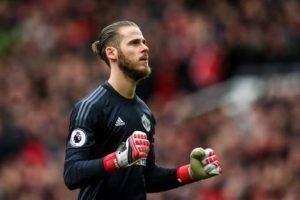 David hails from Spain and he has since been linked to Real Madrid because of his saves. In fact that his current club is progressing is because of him. The red devils star wages was increased to £200,000 and might still increase to ward of interest from the likes of Real Madrid, PSG and a host of other clubs in Europe willing to cature his signature. 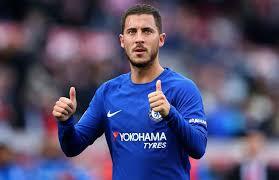 His full name is Eden Michael Hazard and he is a Belgian professional footballer who currently plays for Chelsea FC as an attacking midfielder and a winger. Hazard has often been compared to Lionel Messi and C. Ronaldo due to their similar playing styles. Hazard earns £200,000 per week at Chelsea but there is a rumour that the deal might be improved up to £300,000 plus other bonuses because other big clubs are interested in his signature. 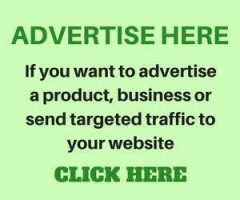 Hazard is one of the highest paid players in EPL 2019 and has said he will decide on his future after the World Cup in Russia. 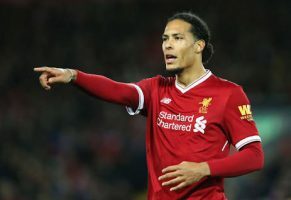 Virgil plys his trade as a centre back at Liverpool FC after making a record transfer from Southampton to Liverpool for £75 million. The Dutch professional defender holds the record of the most expensive defender in football history. Pierre Emerick Aubameyang who plays for Arsenal FC, he earns £180,000. Alexandre Lacazette, a french player who plays for Arsenal earning £170,000 a week. David Silva, a veteran spanish midfielder playing for Man city earns £160,000 per week. Cesc Fabregas, a midfielder playing for both Spain National Team and formerly for Chelsea FC. His salary per week is £150,000 but he has since moved to Monaco. Ngolo Kante is a midfielder playing foe France National Team and at Chelsea FC. He signed a contract recently that sees him earn £290,000 as salary per week.